Like check boxes, radio buttons allow you to select from a set of options. Unlike check boxes (which allow you to make multiple selections), radio buttons allow you to select only one option at a time. For example, in the previous image, selecting Always Send a Read Receipt clears the current selection (Never Send a Read Receipt). Why Are They Called “Radio” Buttons? 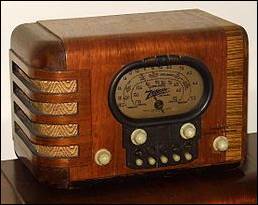 Radio buttons (in a user interface) are similar to the preset buttons on older radios. Only one button could be pushed in at a time, so pressing one button caused another button to pop out. Modern radios work the same way—you can’t select two preset stations at once—but without the dramatic popping-out action.